RAJSHAHI, May 27, 2018 (BSS) - Infrastructure development of 21 high schools in Rajshahi city will start from this month. New academic buildings of 11 of those will be constructed and vertical extension of the rest institutions will be done. Thereby, overall development programmes in the city's schools will be implemented. Meanwhile, educational institutes in the metropolis have started getting a new look amidst massive infrastructure developments during last five years. Mijanur Rahman, Executive Engineer of Education Engineering Department (EED), said works on 182 out of total 254 schemes were completed and works on the rest 72 are progressing fast. In the past, works on the educational institutions were only renovation- based. Now, multi-storied buildings are being constructed to modernize the institutions. "We are constructing necessary infrastructure at selected private colleges in order to ensure quality education with assistance of information and communication technology," said Mijanur Rahman. Necessary infrastructure development works on 10 selected non-government secondary schools and nine colleges were completed with the main thrust of bringing quality development in education. Some 125 repairing and renovation works of 183 schemes were completed. "We are implementing necessary uplift works in 13 government and non- government institutes and supplying furniture to 12 others," said Engineer Rahman adding that multi-storied buildings are being constructed in selected non-government colleges. In addition to construction of multi-storied buildings in three madrashas, twenty non-government secondary schools were brought under physical infrastructure development works. New building construction, repairing, renovation and furniture supply works on the government and private schools are being implemented and most of the works were completed. At a cost of around Taka 5.30 crore, work on improvement of education environment is being implemented in six madrasas with financial support from Islamic Development Bank (IDB). 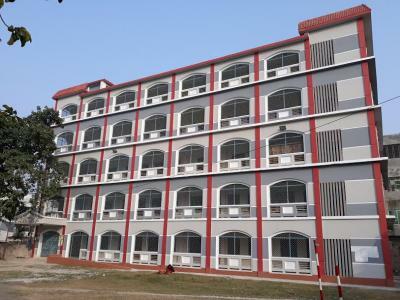 Extension and maintenance works in nine colleges in district headquarter including academic, science, arts and chemistry buildings of Rajshahi College were completed. Construction works of a 100 seat dormitory for girls students are progressing fast. Construction of EED's headquarters and district office buildings were completed in the city at a cost of around Taka 2.15 crore, he added.